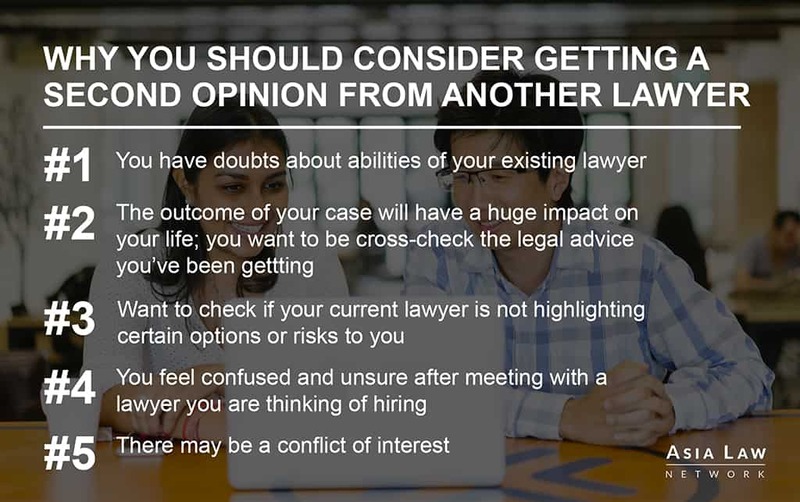 Second opinion for legal advice — should you get one? Ok! You’ve just gotten some legal advice from a lawyer. They might be a friend or family member who is a lawyer, or a lawyer that you have engaged and paid to give you legal advice. You are now equipped with your options and information to make your decision on what to do next. Should you get a second opinion? We know that second opinions are fairly common when it comes to medicine and healthcare. This is particularly true when patients receive a diagnosis that may be life-threatening, require invasive or expensive treatments, or result in substantial lifestyle changes. It is simply prudent to do so. Why then, is it not more common in law? Many people do not typically seek second opinions when it comes to the law. This is partly because it can be challenging and daunting in finding, getting in touch and securing a consultation with suitable lawyers. Many also worry about the cost involved in getting a second opinion and wonder if it is worth the trouble and effort. If you have legally trained friends or family whom you trust and are willing to help, you might consider approaching them first. If they do not have the relevant expertise, you may need to look for a lawyer outside of your social circles. You can call or email a lawyer to get an initial consult but it is likely that you will have to engage them for a proper consult to get a detailed second opinion and legal advice. You should be prepared to pay an hourly rate or a flat fee. An alternative is to get an Asia Law Network Quick Consult. For a flat fee of S$49 and no hidden costs, a practicing lawyer will call you back within 1-2 days after you checking out with a credit card, to give you legal advice and answer your questions in all practice areas of the law ranging from personal to business. Getting a second opinion may not mean that you do not have the confidence or have lost faith in the abilities and competence of your existing lawyer (although that may be a reason). Lawyers are generally understanding when their clients choose to seek a second opinion; some lawyers even recommend it. You may even find greater comfort and confidence in dealing with your existing lawyer after speaking to other lawyers. After all, every lawyer has his or her individual style that may or may not sit well with you, perhaps in the manner that the lawyer has explained your options or the fee structure proposed to be applied. The point is, you now have more data and can make better decisions in choosing which lawyer to hire or retain, and which decision to make in your legal matter. Would you like to get a second opinion right now? You can get a Quick Consult with Vicki within minutes and she will call you back within 1-2 days to give legal advice and answer your questions for a transparent, flat fee of S$49. You may also browse and select other lawyers to get a Quick Consult with here. You can also get legal contracts and documents for your business done quickly and conveniently with Asia Law Network’s Quick Contracts. 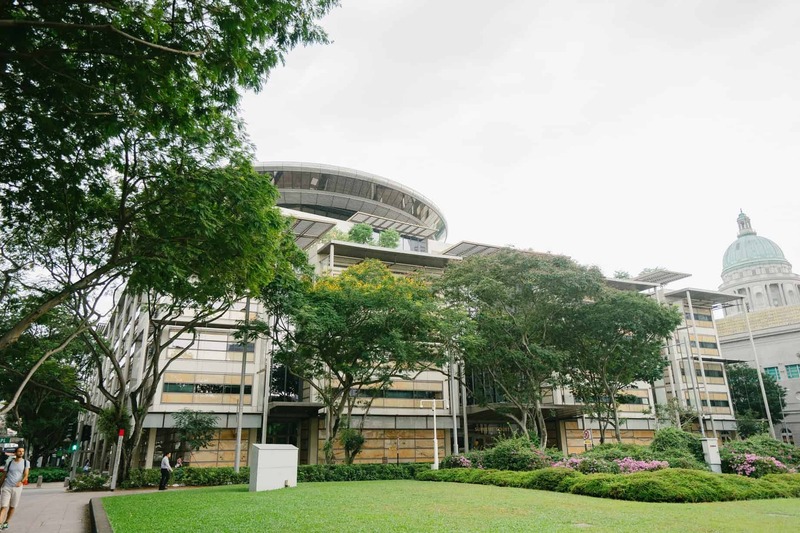 From a flat S$4,000, you will get 20 legal credits with a reputable law firm, which allows you to pick and choose the contracts your business needs. Lawyers will spend time with you to understand your business and its risks which are essential to help customise your legal documents. This article is written by Vicki Heng from Vicki Heng Law Corporation and Gabriel The. 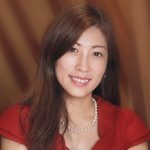 Vicki graduated from the National University of Singapore in 1998 and was called to the Singapore Bar in 1999. Vicki's practice focuses on intellectual property law, which covers diverse industries such as luxury consumer goods, electronics, food and beverage, pharmaceuticals and entertainment where she represents both local and international clients. Her work covers contentious and non-contentious matters. Vicki assists her clients in the development, protection, exploitation and enforcement of their intellectual property rights, including copyright, trade marks, patents, designs and trade secrets. With a firm understanding of her clients' respective industries, she advises them on issues including brand clearance, brand protection, licensing, transfer of technology, prosecution of trade marks and designs, and intellectual property rights infringement. Vicki is particularly committed to start-ups and works alongside her clients from the point of ideation, to the subsequent incorporation, protection and growth of their businesses.